In the preceding line the carrying rings are described as golden, to denote their strength; here they are said to be of jade. Jade is notable for its combination of hardness with soft luster. This counsel, in relation to the man who is open to it, works greatly t his advantage. Here the counsel is described in relation to the sage who imparts it. In imparting it, he will be mild and pure, like precious jade. Thus the work finds favor in the eyes of the Deity, who dispenses great good fortune, and becomes pleasing to men, wherefore all goes well. The handle is the means for lifting up the ting. If the handle is altered, the ting cannot be lifted up and used, and, sad to say, the delicious food in it, such as pheasant fat, cannot be eaten by anyone. This describes a man who, in a highly evolved civilization, finds himself in a place where no one notices or recognizes him. This is a severe block to his effectiveness. All of his good qualities and gifts of mind thus needlessly go to waste. But if he will only see to it that he is possessed of something truly spiritual, the time is bound to come, sooner or later, when the difficulties will be resolved and all will go well. The fall of rain symbolizes here, as in other instances, release of tension. If a ting is turned upside down before being used, no harm is done-on the contrary, this clears it of refuse. A concubine's position is lowly, but because she has a son she comes to be honored. These two metaphors express the idea that in a highly developed civilization, such as that indicated by this hexagram, every person of good will can in some way or other succeed. No matter how lowly he may be, provided he is ready to purify himself, he is accepted. He attains a station in which he can prove himself fruitful in accomplishment, and as a result he gains recognition. The six lines construct the image of Ding, The Caldron; at the bottom are the legs, over them the belly, then come the ears (handles), and at the top the carrying rings. At the same time, the image suggests the idea of nourishment. The ding, cast of bronze, was the vessel that held the cooked viands in the temple of the ancestors and at banquets. The heads of the family served the food from the ding into the bowls of the guests. The Well (hexagram 48) likewise has the secondary meaning of giving nourishment, but rather more in relation to the people. The ding, as a utensil pertaining to a refined civilization, suggests the fostering and nourishing of able men, which redounded to the benefit of the state. This hexagram and the Well are the only two in the Book of Changes that represent concrete, men-made objects. Yet here too the thought has its abstract connotation. 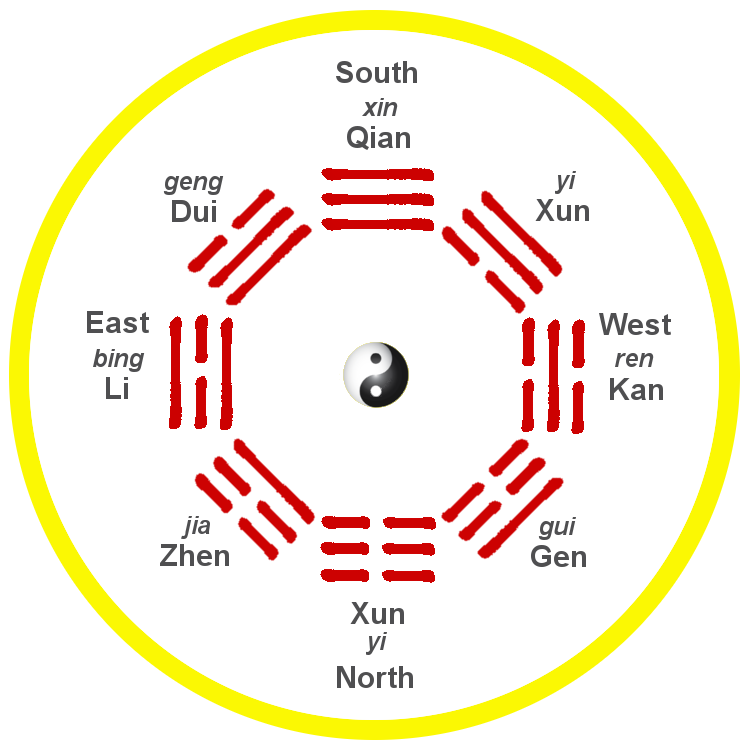 Xun, below, is wood and wind; Li, above, is flame. Thus together they stand for the flame kindled by wood and wind, which likewise suggests the idea of preparing food. Nothing transforms things so much as the ting. Hence there follows the hexagram of the Caldron. The transformations wrought by Ding are on the one hand the changes produced in food by cooking, and on the other, in a figurative sense, the revolutionary effects resulting from the joint work of a prince and a sage. The Caldron means taking up the new. The hexagram is structurally the inverse of the preceding one; in meaning also it presents a transformation. While hexagram Ge, Revolution (49) treats of revolution as such in its negative aspect, Ding shows the correct way of going about social reorganization. The two primary trigrams move in such a way that their action is mutually reinforcing. 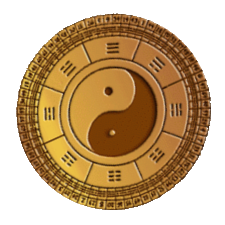 The nuclear trigrams Qian and Dui, which mean metal, complete the idea of the ting as a sacred ceremonial vessel. 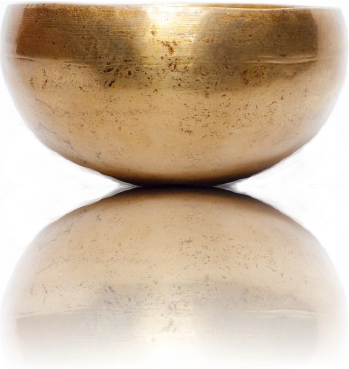 These old bronze vessels - as still occasionally found in excavations - have been connected throughout all time with the loftiest expressions of Chinese civilization. While the Caldron relates to the social foundation of our life, and this foundation is likened to the water that serves to nourish growing wood, the present hexagram refers to the cultural superstructure of society. Here it is the wood that serves as nourishment for the flame, the spirit. All that is visible must grow beyond itself, extend into the realm of the invisible. Thereby it receives its true consecration and clarity and takes firm root in the cosmic order. Here we see civilization as it reaches its culmination in religion. The ding serves in offering sacrifice to God. The highest earthly values must be sacrificed to the divine. But the truly divine does not manifest itself apart from man. The supreme revelation of God appears in prophets and holy men. To venerate them is true veneration of God. The will of God, as revealed through them, should be accepted in humility; this brings inner enlightenment and true understanding of the world, and this leads to great good fortune and success. The Caldron is the image of an object. When one causes wood to penetrate fire, food is cooked. The holy man cooks in order to sacrifice to God the Lord, and he cooks feasts in order to nourish the holy and the worthy. Through gentleness the ear and eye become sharp and clear. The yielding advances and goes upward. It attains the middle and finds correspondence in the firm; hence there is supreme success. The whole hexagram, with its sequence of divided and undivided lines, is the image of a ding, from the legs below to the handle rings at the top. 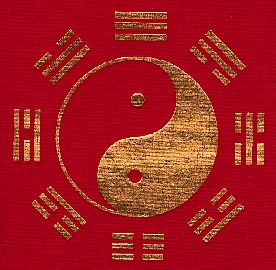 The trigram Xun below means wood and penetration; Li above means fire. Thus wood is put into fire, and the fire is kept up for the preparation of the meal. Strictly speaking, food is of course not cooked in the ding but is served in it after being cooked in the kitchen; nevertheless, the symbol of the ting carries also the idea of the preparation of food. The ting is a ceremonial vessel reserved for use in sacrifices and banquets, and herein lies the contrast between this hexagram and Jing, the Well (hexagram 48), which connotes nourishment of the people. In a sacrifice to God only one animal is needed, because it is not the gift but the sentiment that counts. For the entertainment of guests abundant food and great lavishness are needed. The upper trigram Li is eye, the fifth line stands for the ears of the ding; thus the image of eye and ear is suggested. The lower trigram Xun is the Gentle, the adaptive. Thereby the eye and ear become sharp and clear (clarity is the attribute of the trigram Li). The yielding element that moves upward is the ruler of the hexagram in the fifth place; it stands in the relationship of correspondence to the strong assistant, the nine in the second place, hence has success. 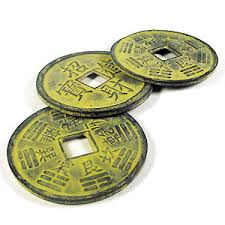 In ancient China nine ding were the symbol of sovereignty, hence the favorable oracle.